County Fairs bring back wonderful memories. Ferris wheels, cotton candy, smelly sheep pens, competition, working in the 4-H concession stand, the arts and crafts building . . . . I blush to admit that all of these paled in my teen-aged brain compared to the one thing that was most important to me—the 4-H building. To say I was involved in 4-H is an understatement. I lived and breathed 4-H when I was a teenager. I was passionate about my main project of bread making. It wasn’t the bread baking that jazzed me. It was the competition that gave me a high. It was getting that first place prize, being on top, and being better than any one else in my state. I had found something that I could excel at and I was going to make sure I excelled beyond anyone’s expectations. 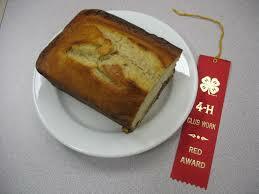 4-H offered competition in three main areas: the county and state fairs, Demonstration Day, and record keeping. I did it all. I did it well. I was out to out-best anyone else. I inwardly growled with jealousy if anyone was better than me. A girl named Zoe who lived across town and who was several years older than me was the one to topple. Zoe had the golden touch. She was a blue ribbon winner at anything she attempted. When she graduated from high school, a crazed contentment came over me. Now maybe others would see me as the one to beat. The main area of competition were our record books. These showed our involvement in 4-H, how we grew and developed in our projects, and how we’d used our projects to serve others. Winners went on to the state level. One winner from every project was selected to be a representative at the National 4-H Congress in Chicago. A handful of people won college scholarships. 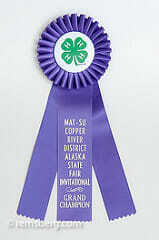 It was the highest honor 4-H could give. Having a top notch record book meant making lots of bread and lots of different kinds of bread. Every Saturday found me in the kitchen making bread. Our family couldn’t eat all that bread so we started giving loaves of bread to widows at church. 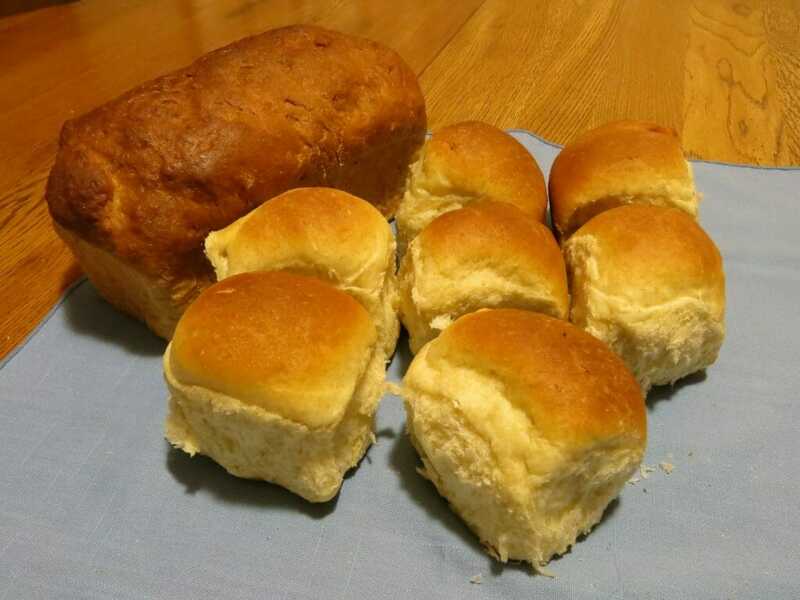 I volunteered to make homemade dinner rolls for every church potluck. When I chose to do a demonstration on homemade pizza dough, I begged friends to let me come to their homes to make pizza and practice my demonstration on them. I won the coveted State Shield and Clover award for my demonstration. A box under my bed held several purple Best of Class ribbons. Finally, in my junior year of high school, I won a trip to the National 4-H Congress in Chicago that included a college scholarship. After that, all that was left were the memories and the remnants of my competitive spirit. No, that’s not right. I had a lot more left. Bread baking has become a life-long hobby and ministry. 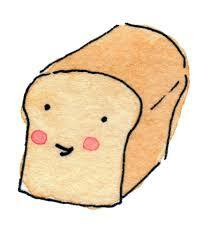 In my competitive push to make lots of bread, I discovered the joy of giving bread to others. The look of rapture on people’s faces as they lifted the still warm loaf to their nose became more satisfying than any purple ribbon. My mom, who shared my love of bread making, was a witness to the joy of giving away bread. After I left home for graduate school, she started a love loaf ministry at our home church where, within the week after their first visit, every visitor received a loaf of homemade bread. I never did it that formally but throughout my years of ministry, I’ve often taken homemade bread to visitors, sick church members, or people who just needed to be reminded that they were loved. My demonstration days taught me how to be comfortable in front of crowds and how to organize the content of a speech. My articulate record keeping taught me the value of keeping records of my work and the importance of practice, practice, and more practice. I haven’t figured out what making posters for my demonstration taught me other than the fact that I am not artistic and I greatly dislike the drudgery of drawing straight lines! I know in my soul how competitive I was, how eager I was to be top-dog. I also know how my attitude was not God honoring. Yet look what God did with that! Instead of taking away my bread baking skill, He opened the door for me to use it to bless others. God made redemptive use of my competitive spirit and turned it into ministry opportunities. That’s grace. Pure, sweet, simple grace! It would have served me right if God had chopped off my right hand so I couldn’t knead bread any more. He could have made me dirt poor so I didn’t have the resources to give to others. He could have kept me away from influential positions so I couldn’t share my bread baking expertise with other people. But He didn’t. He allowed me to use all that skill that I once used to build up myself for other people. God can do that for you. Do you have a big secret sin in your past? An attitude issue that only you and God know about, and others suspect? Reflect. How has God reshaped your attitudes? Better yet, how has God brought good from your weaknesses? How has He allowed you to channel your selfish ambitions toward service to others? He can do that. He’d like to do it. It’s called grace. Pure, sweet, simple grace. And our God is expert at grace.